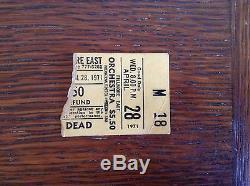 The Grateful Dead, Fillmore East, April 28, 1971, Concert Ticket Stub, Rare. Little tape residue on back. The item "The Grateful Dead, Fillmore East, April 28, 1971, Concert Ticket Stub, Rare" is in sale since Friday, February 26, 2016. This item is in the category "Entertainment Memorabilia\Music Memorabilia\Rock & Pop\Artists G\Grateful Dead\Concert Memorabilia". 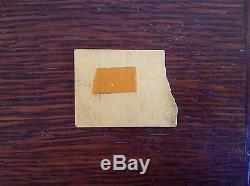 The seller is "ad-vinture" and is located in Salt Lake City, Utah. This item can be shipped worldwide.